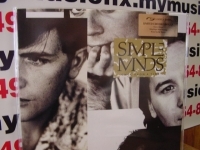 Simply Vinyl - items 100 to 125 Shop MyMusicFix!! 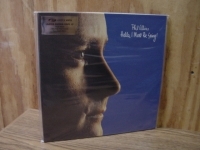 "Phil Collins, Hello I Must Be Going (limited stock)- Silver Sticker"
Simply Vinyl 180 Gram Limited Edition Analog Virgin Vinyl. PHIL COLLINS - HELLO, I MUST BE GOING! - 180 Gram Limited Edition. This Simply Vinyl classic LP (made in England - has the best protective packaging I've seen) high-definition Virgin Vinyl pressing The Simply Vinyl Silver Collection is currently the only way a collector can identify if these U.K. Abbey Road Studio pressings are Out of Print First Generation copies of some of the finest heavy vinyl masterpieces ever made. Mymusicfix has an exclusive list of these Silver Edition titles you will not find at any Audiophile Vinyl Dealer anywhere (Silver Collection refers to the marketing sticker attached on the front and back of the sealed product - not the Second Generation and beyond Gold Stickers). They are known to be some of the finest rock titles ever pressed in Limited Edition Heavy Virgin Vinyl with the best protective packaging ever within the Industry. If you are considering divorcing a rock star, let HELLO, I MUST BE GOING serve as warning of what you're likely to face once the papers have been signed and the settlements agreed upon. Collins got the last word on his relationship with first wife, Jill (he actually addresses her by name on the album), and managed to deliver it to millions of homes via this album. Tracks include - I Don't Care Anymore - I Cannot Believe It's True - Do You Know, Do You Care? - It Don't Matter To Me - Like China - Thru These Walls - Don't Let Him Steal Your Heart Away - West Side - Why Can't It Wait Till Morning - and a lively remake of The Supremes, You Can't Hurry Love. "Phil Collins, No Jacket Required - 1st Edition 180 Gram - CURRENTLY OUT OF STOCK"
Simply Vinyl 180 Gram Limited Edition Analog Virgin Vinyl. "No Jacket Required" had the distinction of not only selling some 7 million units in the U.S.A. alone but also winning the 1985 Album Of The Year Grammy Award. It's not hard to see why! Packed to the brim with killer hits of the time, "No Jacket Required" almost seems like a greatest hits collection with smashes like "Take Me Home" and "Don't Lose My Number". 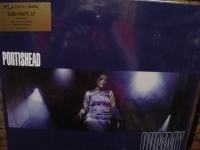 "Portishead, ST - 180 Gram Double LP (limited stock)"
"R.E.M., Fables of the Reconstruction (limited stock) - 180 Gram"
Simply Vinyl 180 Gram Limited Edition Analog Virgin Vinyl. "Fables of the Reconstruction" is R.E.M. 's deepest and darkest album. R.E.M's third full-length recording delivers the purest distillation of the band's early sound. With the exception of the horn-laden radio-friendly "Can't Get There From Here", the songs form a connected sounds cape. Tracks Include: "Feeling Gravity's Pull" "Maps and Legends" "Driver 8" "Life and How to Live It" "Old Man Kensey" "Can't Get There From Here" "Green Grow the Rushes" "Kohoutek" "Auctioneer (Another Engine)" "Good Advices" "Wendell Gee". "Rage Against The Machine, Evil Empire - - CURRENTLY SOLD OUT"
"Red Hot Chili Peppers, Freaky Styley - 180 Gram Gold Sticker"
"Red Hot Chili Peppers, The Uplift Mofo Party Plan - 180 Gram Silver Sticker"
"Roxy Music, Flesh and Blood - Simply Vinyl Limited Edition 180 Gram"
ROXY MUSIC - FLESH AND BLOOD - 1ST EDITION 180 GRAM PRESSING FROM THE U.K. TREMENDOUSLY RARE OUT OF PRINT LIMITED EDITION & ONE OF OUR LAST COPIES FOREVER. The Simply Vinyl Silver Collection is currently the only way a collector can identify if these U.K. Abbey Road Studio pressings are Out of Print First Generation copies of some of the finest heavy vinyl masterpieces ever made. Mymusicfix has an exclusive list of these Silver Edition titles you will not find at any Audiophile Vinyl Dealer anywhere (Silver Collection refers to the marketing sticker attached on the front and back of the sealed product - not the Second Generation and beyond Gold Stickers). They are known to be some of the finest rock titles ever pressed in Limited Edition Heavy Virgin Vinyl with the best protective packaging ever within the Industry. The re-issue is one of Roxy Music's most successful studio albums - the brilliant "Flesh And Blood" (No.1 UK, No.35 US '80). In much the same way as Genesis, Roxy Music had now pretty much shrunk to the trio of Bryan Ferry, Phil Manzanera and And Mackay while being ably augmented by session musicians like Simon Phillips on drums, Gary Tibbs on bass, Neil Hubbard on guitar and even Paul Carrack on keyboards. The result is a beautifully recorded album which contains smash hits including "Over You" (No.5 UK, No.80 US '80), "Oh Yeah (On The Radio)" (No.5 UK '80), "Same Old Scene" (No.12 UK '80) plus a couple of inspired covers in the shape of Steve Cropper and Wilson Pickett's "In The Midnight Hour" and the Byrds psychedelic masterpiece "Eight Miles High". The result of all this was an album which outsold every Roxy Music album before it and one which stayed on the UK charts for well over a year between 1980 and '81. Beautifully mixed by the brilliant Bob Clearmountain, "Flesh And Blood" sounds unbelievable on 180 gram vinyl. 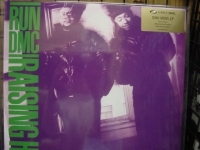 "Run DMC, Raising Hell (limited stock) Gold Sticker - 180 Gram"
Simply Vinyl 180 Gram Limited Edition Analog Virgin Vinyl. Tracks Include: "Peter Piper" "It's Tricky" "My Adidas" "Walk This Way" "Is It Live" "Perfection" "Hit It Run" "Raising Hell" "You Be Illin'" "Dumb Girl" "Son Of Byford" "Proud To Be Black". 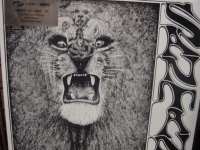 "Santana, The Very Best Of - Silver Sticker - 180 Gram"
FIRST EDITION - Silver Simply Vinyl 180 Gram Limited Edition Analog Virgin Vinyl. Tracks Include: "Europa(Earth's Cry Heaven's Smile)" "Black Magic Woman/Gypsy Queen" "Oye Como Va" "Samba Pa Ti" "Carnival" "She's Not There" "Soul Sacrifice" "Let The Children Play" "Jugando" "No One To Depend On" "Evil Ways" "Dance Sister Dance(Baila Mi Hermana)" "Jin-Go-Lo-Ba" "Everybody's Everything" "Hold On" "One Chain(Don't Make No Prison)" "Lightning In The Sky" "Aqua Marine". 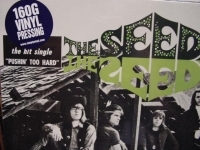 "Seeds, The Seeds "Pushing To Hard" (160 Gram)"
"Simon & Garfunkel, Bridge Over Troubled Water (limited stock) - Silver Sticker"
Simply Vinyl Classic Analog Limited Edition Analog Virgin Vinyl. Voted the #33 album of all time! 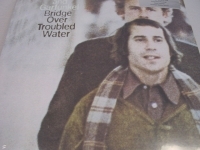 This recording topped the charts for 10 weeks, sold more than five million copies in the U.S. alone, won the Grammy Award for Album of the Year and includes four hit singles: "Bridge Over Troubled Water", "The Boxer", "Cecilia" and "So Long, Frank Lloyd Wright." 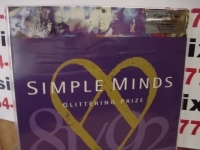 Other Tracks Include: "El Condor Pasa" "Keep The Customer Satisfied" "Baby Driver" "The Only Living Boy in New York" "Why Don't You Write" "Bye Bye Love" "Song For the Asking"
"Simple Minds, Glittering Prize - 180 Gram Double LP - Silver Sticker"
SIMPLE MINDS - GLITTERING PRIZE- 180 Gram Limited Edition OUT OF PRINT Simply Vinyl classic Double LP (made in England - has the best protective packaging I've seen) high-definition Virgin Vinyl pressing for superior fidelity. 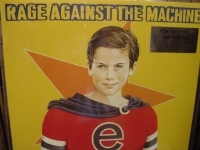 Collectors Alert: Many of these Simply Vinyl Titles will never be available again. Their license to produce these 180 Gram Masterpieces with Universal Records International has Ended. This means that this specific title is now out of print forever and there are very few remaining is sealed condition. This title is going to skyrocket in value & price over the next few months. So Don't Miss Out on being one of the last people to own this outstanding pressing. This is one the last pressing you will ever see at this price. The Simply Vinyl Silver Collection is currently the only way a collector can identify if these U.K. Abbey Road Studio pressings are Out of Print First Generation copies of some of the finest heavy vinyl masterpieces ever made. Mymusicfix has an exclusive list of these Silver Edition titles you will not find at any Audiophile Vinyl Dealer anywhere (Silver Collection refers to the marketing sticker attached on the front and back of the sealed product - not the Second Generation and beyond Gold Stickers). They are known to be some of the finest rock titles ever pressed in Limited Edition Heavy Virgin Vinyl with the best protective packaging ever within the Industry. 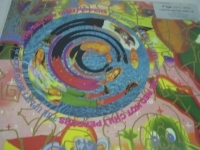 GLITTERING PRIZE picks up tracks starting with Album #7 NEW GOLD DREAM- which coincidentally was their debut in the U.S. and ends with REAL LIFE (1991) including only one song "Belfast Child" from the OOP THE STREET FIGHTING YEARS (1989). It is a definitive greatest hits collection. Tracks include: Alive and Kicking - See The Lights - Don't You - Promised You A Miracle - Sanctify Yourself - Belfast Child - Stand By Love - Up On The Catwalk - Let There Be Love - All The Things She Said - Somewhere Somewhere In Summertime - Waterfront. Simply Vinyl 180 Gram Limited Edition Analog Virgin Vinyl. Tracks Include: "Once Upon A Time" "All The Things She Said" "Ghost Dancing" "Alive And Kicking" "OH Jungleland" "I Wish You Were Here" "Sanctify Yourself" "Come A Long Way". 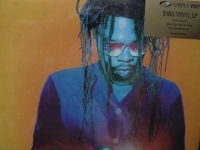 "Soul II Soul, Classic Singles 88-93 (last copies)"
Simply Vinyl 180 Gram Limited Edition Analog Virgin Vinyl (2 LPs). Tracks Include: "Back To Life(However Do You Want Me)" "Keep On Movin'" "Get A Life" "A Dreams A Dream" "Missing You" "Just Right" "Move Me No Mountain" "People" "Fairplay" "Jazzie's Groove" "Wish" "Joy" "Keep On Movin'(Mafia & Fluxy Mix)" "Keep On Movin'(Q & Dobie Mix)" "Fairplay(Ethnic Boys Mix)" "Back To Life(Bonus Beats)" "Back To Life(Master's At Work "House" Remix)". 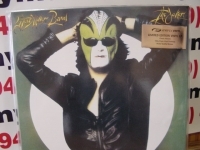 "Steve Miller, The Joker (limited stock)"
Simply Vinyl 180 Gram Limited Edition Analog Virgin Vinyl. Tracks Include: "Sugar Babe" "Mary Luo" "Shu Ba Da Du Ma Ma Ma Ma" "Your Cash Ain't Nothin' But Trash" "The Joker" "Lovin' Cup" "Come On In My Kitchen" "Evil" "Something To Believe In". 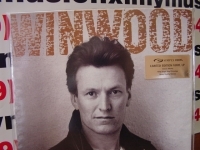 "Steve Winwood, Roll With It (limited stock)"
Simply Vinyl 180 Gram Limited Edition Analog Virgin Vinyl. Winwood returns to his R & B roots. Released two years after the excellent and deservedly very successful "BACK IN THE HIGH LIFE", "ROLL WITH IT" sees Steve Winwood moving back more towards his roots, and returning to a somewhat more traditional rhythm and blues sound. Rather than complex synthesizer and percussion arrangements, "ROLL WITH IT" is dominated by piano and organ with punchy horns from the famed American trumpet/sax duo. Tracks Include: "Roll With It" "Holding On" "The Morning Side" "Put On Your Dancing Shoes" "Don't You Know What The Night Can Do?" "Hearts On Fire" "One More Morning" "Shining Song". "Stevie Nicks, Bella Donna (limited stock) - Simply Vinyl 180 Gram"
Simply Vinyl 180 Gram Limited Edition Analog Virgin Vinyl Pressing. FACTORY SEALED but shows a small amount of wear and tear on the cover and protective plastic cover due to being so LONG OUT OUT PRINT. Tracks Include: "Bella Donna" "Kind Of Woman" "Stop Draggin' My Heart Around" "Thik About It" "After The Glitter Fades" "Edge Of Seventeen" "How Still My Love" "Leather And Lace" "Outside The Rain" "The Highwayman". 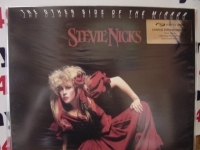 "Stevie Nicks, The Other Side of the Mirror (limited stock)"
Simply Vinyl 180 Gram Limited Edition Analog Virgin Vinyl. Tracks Include: "Room On Fire" "Long Way To Go" "Two Kinds Of Love " "Ooh My Love" "Ghosts" "Whole Lotta Trouble" "Fire Burning" "Cry Wolf" "Alice" "Juliet" "Doing The Best I Can(Escape From Berlin)" "I Still MIss Someone(Blue Eyes)". "Sting, The Dream of the Blue Turtles - 180 Gram - U.K. Versiion(limited stock)"
Simply Vinyl 180 Gram Limited Edition Analog Virgin Vinyl. STING Recent Grammy Winner for Lifetime acheivement - THE DREAM OF THE BLUE TURTLES - 180 GRAM OUT OF PRINT LIMITED EDITION ONE OF OUR LAST COPIES FOREVER Collectors Alert: Many of these Simply Vinyl Titles will never be available again. Their license to produce these 180 Gram Masterpieces with Universal Records International has Ended. This means that this specific title is now out of print forever and there are very few remaining is sealed condition. This title is going to skyrocket in value & price over the next few months. So Don't Miss Out on being one of the last people to own this outstanding pressing. This is one the last pressing you will ever see at this price. The Simply Vinyl Silver Collection is currently the only way a collector can identify if these U.K. Abbey Road Studio pressings are Out of Print First Generation copies of some of the finest heavy vinyl masterpieces ever made. Mymusicfix has an exclusive list of these Silver Edition titles you will not find at any Audiophile Vinyl Dealer anywhere (Silver Collection refers to the marketing sticker attached on the front and back of the sealed product - not the Second Generation and beyond Gold Stickers). They are known to be some of the finest rock titles ever pressed in Limited Edition Heavy Virgin Vinyl with the best protective packaging ever within the Industry. 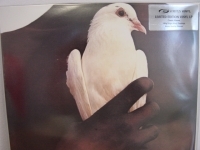 These pressings are tremendously limited in these Silver Edition Pressings and Mymusicfix is down to our last few copies. 180 Gram Limited Edition Collectors masterpiece OUT OF PRINT and one of the last copies remaining in the world factory sealed. 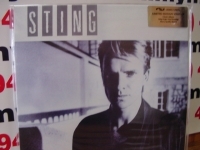 From one spin of THE DREAM OF THE BLUE TURTLES, Sting's first solo release in 1985, it's obvious that for him there would be life beyond The Police. Teamed with a band of top jazz players, he presents his musical visions that had gone unrealized while he was still constrained by his former ensemble. In style and subject matter, it's a decidedly diverse collection of songs and the playing is excellent throughout. 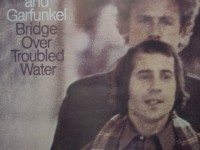 The love songs are mostly focused on endings or escapes, and it's quite possible to interpret much of the imagery in reference to the bitter breakup of Police. Tracks include: If You Love Somebody Set Them Free - Love Is The Seventh Wave - Russians - Children's Crusade - Shadows In The Rain - We Work The Black Seam - Consider Me Gone - The Dream Of The Blue Turtles - Moon Over Bourbon Street - Fortress Around Your Heart. "Supertramp, Breakfast In America (limited stock) - 180 Gram LP"
First Edition - Out of Print Simply Vinyl 180 Gram Limited Edition Analog Virgin Vinyl. Tracks Include: "Gone Hollywood" "The Logical Song" "Goodbye Stranger" "Breakfast In America" "Oh Darling" "Take The Long Way Home" "Lord Is It Mine" "Just Another Nervous Wpeck" "Casual Conversations" "Child Of Vision". 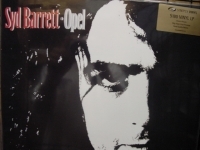 "Syd Barrett, Opel (2 LPs, last copies) - 180 Gram Vinyl - CURRENTLY SOLD OUT"
Simply Vinyl 180 Gram Limited Edition Analog Virgin Vinyl. Tracks Include: "Opel" "Clowns & Jugglers" "Rats" "Golden Hair" "Dolly Rocker" "Word Song" "Wined And Dined" "Swan Lee" "Birdie Hop" "Let's Slip" "Lanky" "Wouldn't You Miss Me" "Milky Way" "Golden Hair(Instrumental)" "Gigolo Aunt" "It Is Obvious(Take 3)" "It Is Obvious(Take 5)" "Clowns & Jugglers(Take 1)" "Late Night(Take 2)" "Effervescing Elephant".